How do I maintain mental functioning when I have a chronic illness? If you read my posts last week you’d know that lately I’ve been getting back into reading after almost a year of not being able to physically read a book. I’m reading both fiction and non-fiction and at the moment the main focus of my non-fiction books is my health. I did a review last week of one of the books I read, The Complete Fibromyalgia Health, Diet Guide and Cookbook, and I’m currently reading a book that has been called ‘a much-needed bible of information’ (Professor Warren P. Tate) for people living with Chronic Fatigue Syndrome/Myalgic Encephalomyelitis, Chronic Fatigue Syndrome M.E. : Symptoms, Diagnosis, Management by Dr Rosamund Vallings. 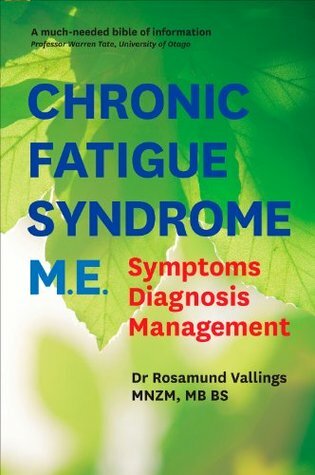 I will write a review of Chronic Fatigue Syndrome M.E. once I have finished reading it but today I want to talk about how these books are affecting my decision making processes. Both of these books have got me thinking about how I’m managing my conditions both physically and mentally. Although there is a lot of overlap in the recommendations in each book, there are some major differences as well. The main one I have come across so far is in regards to exercise and diet recommendations. That is not the topic of todays discussion so I’ll expand more on that later. Managing the mental aspect of these conditions (the brain fog, memory issues and mental health impacts such as secondary depression) can be especially difficult when you are suffering from multiple conditions are unsure which illness/condition is causing each symptom. Dr Vallings advocates for the saying ‘Use it or lose it’ for both physical and mental activities but puts a proviso on how much you use it at one time to take into account pacing and minimising symptoms. The ‘Use it or lose it’ attitude is probably a good one to have but pacing is the key for ME/CFS. For example, this post has taken me an hour to write but I have had to break that into two blocks with a break in between as my current activity limit I’m working to is 30 minutes of computer work at a time. I’m yet to read Dr Vallings chapter on depression so I can’t comment on how she recommends minimising the impact of this additional condition, but I can say that she believes that everyone suffering from a chronic condition such as ME/CFS is likely to experience depression at one point or another. Both books advocate a positive outlook on life, recommending treatments such as Cognitive Behavioural Therapy to help us be able to turn negative thoughts into positive ones. The psychologist I saw earlier in my illness believed I was doing well at maintaining a positive outlook at that stage of the illness so we didn’t use Cognitive Behavioural Therapy, but he did say that it was likely if this illness continues for a longer period of time (which it appears to be doing) I may need help in the future. Daily meditation as part of my relaxation time to help promote a calm and positive outlook on life. Daily reading (at least 30 minutes) that is broken into maximum 30 minute blocks. As previously discussed I aim to use reading for both fun/relaxation and educational purposes, encouraging my mind to begin to think about being strategic and creative again (both skills I need if I want to keep working in my current role when I return to work). Daily writing, either here on my blog or in my diary (which I haven’t used much since starting this blog). Daily drawing to encourage creativity. I don’t always manage to fit all of these in but I am using them as a guideline for daily life. I really need to get back into some sort of routine and work out exactly what my limits are so I can return to work in some capacity. These tasks are all paced and, combined with my physical goals/guidelines, form a basis for a flexible routine that reduces stress and doesn’t increase symptoms or lead to crashes. Maintaining mental functioning when dealing with a chronic illness can seem like an overwhelming task (I know I felt that way in the early days of my illness) but with a little planning and consideration it is possible to find ways that do not impact negatively on your health. If you are severely ill, this may mean listening to an audio book or having a crossword/puzzle next to your bed that you do a single move at a time. You may need to incorporate more rest but spending even a minute or two doing something that encourages you to think, remember or be creative would be a great start at maintaining your mental functioning. Do you have activities you do daily or weekly that help you to maintain or increase your mental functioning (thinking strategically or creatively)? What mental functions do you struggle with the most as a result of your illness?